The full lip trend isn’t going away any time soon and that’s okay by Us. Getting the look doesn’t have to mean fillers and follow-ups with our doctor for the rest of our lives, though. Sometimes a simple, at-home solution is all it takes, and no, we don’t mean over-lining our lips when doing our makeup. We’re talking about a product celebrities love for its natural plumping power! 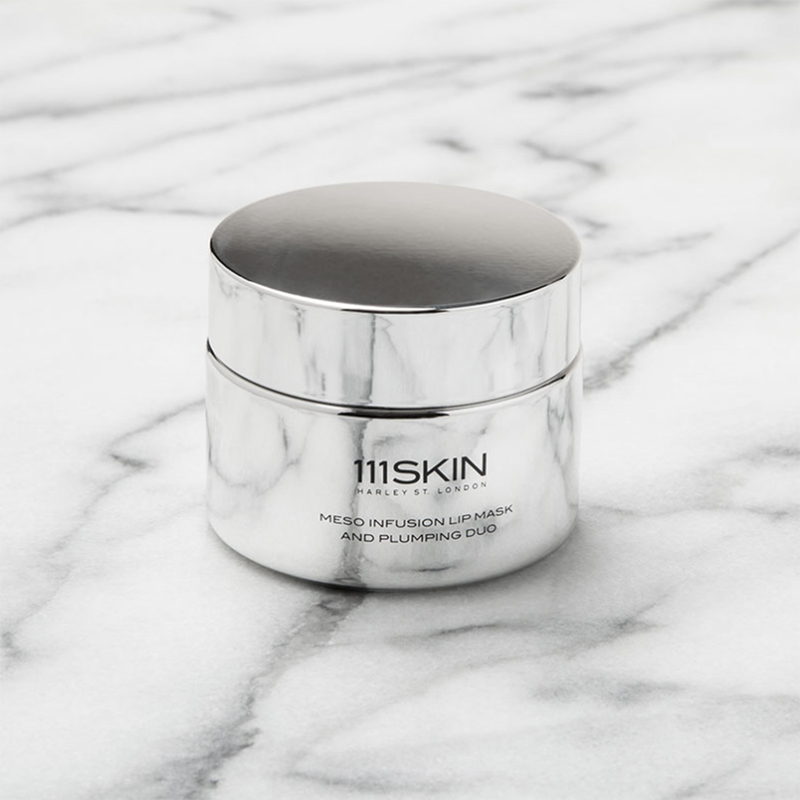 See it: Get the 111SKIN Meso Infusion Lip Mask and Plumping Duo starting at $132 at Dermstore! Also available at Revolve! This treatment is seen as an alternative to surgery; that’s how much people believe in it. It claims to simultaneously hydrate and plump, all the while smoothing out dry and chapped lips and volumizing their appearance for a fuller look. This may result in a more “rounded effect” and an enviable lip shape. Proud duck-face selfies incoming! This lip duo is full of potent ingredients. We don’t have just one or two key ingredients here, but a whole bunch packed inside! First, there’s X Styenol, which claims to act similarly to retinol, strengthening the skin of our lips. It’s accompanied by Volulip, which claims to increase the volume of our lips. Neodermyl is a “needle-free” collagen, an ingredient that may give us an experience closest to that of going to a doctor, smoothing out the fine lines and wrinkles of our lips. Next on the list is Hilurlip, which sits more on the lip care and health side, claiming to provide moisture and protection against harsh elements. Also working to moisturize is the Super Sterol Liquid, a natural emollient which claims to enrich and condition lips. 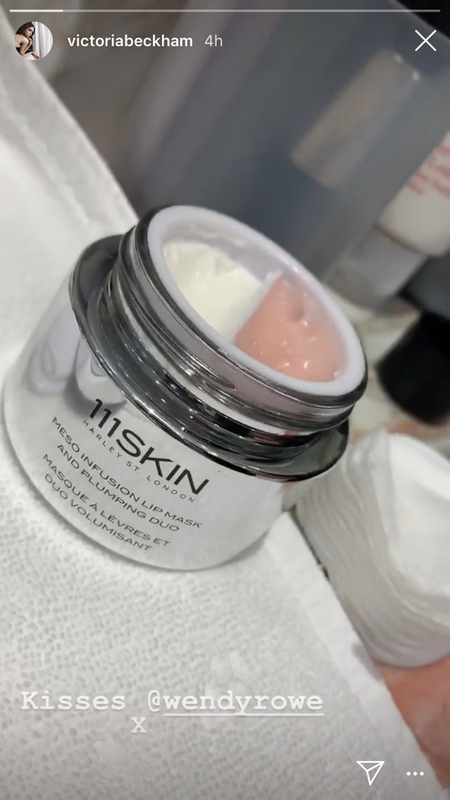 When we’re using this lip mask and plumping duo, we may notice a boost in our skin’s elasticity, which will help protect our lips from breaking and cracking. Even when we do have some unsightly and uncomfortable lip damage, this duo claims to help heal us up, settling down any inflammation. We want voluptuous lips, not inflamed lips! Another great thing about this lip duo is that it claims to absorb quickly and easily, not causing any weird slipping and sliding if we want to layer a matte lipstick on top, for example. Speaking of lipsticks, we can only imagine how much better our makeup is going to look once we’ve started using this mask consistently! If our lips are already plump, hydrated and smooth, our lip products are going to love us, and more importantly, we’re going to love them. We’re never going to achieve an even application if we have bits of skin hanging off our lip or deep creases sucking the color down into an endless abyss. At that rate, we’re better off wearing no lipstick at all. Using this duo could help our lip color apply cleaner, stay on longer and look that much more beautiful (and kissable!). To use this duo, first start off by applying the mask to clean, dry lips with the spatula, letting it absorb. Follow up with the balm to seal everything in and protect! 111SKIN is a skincare brand, of course, but it goes deeper than that. It actually merges skincare with space research for seriously out-of-this-world products and make us look like stars. It focuses heavily on anti-aging products and protecting our skin from pollution and sun exposure, as well as stress! It was founded by a plastic surgeon, Dr. Yannis Alexandrides, who was originally looking for a better way to help his patients heal. He worked with space scientists to create the brand, and this duo specifically uses Dr. Yannis’ Mesotherapy technology! Beckham has been a beauty icon for decades, so if she’s using a product, we are absolutely going to be checking it out. Combine this with an exfoliating lip scrub and our lips might even be pretty than Posh Spice’s! Looking for something else? Check out more from 111SKIN here and other lip products available at Dermstore here!